I'd love to see Bubba got there (lefty bias) but I have to think that Spieth is the one who will be most consistent for the year. Bubba is going to have a good year, he's back!! I'm thinking DJ. At least I hope. I'm thinking someone will pass him in the next month, or so, and it will be a kick in the pants for him to go on a run and take it back. Changed my mind. It will be TW. I think it could be JT or Speith. If Jordan keeps playing like he did on Sunday and does it again at another major he has to take the number 1 spot. Winning 4 majors in the last 3 years would just unreal. His major record is already unreal but adding another and maybe completing the slam before Rory would be unbelievable. If Jt wins another one and bags another tour win he'd be a worthy number 1 as well and would start to show signs that he can match Jordan and Rory on the big stage (majors is what I mean by that). Both fun players to watch. Who do I think will be there? Jordan, if he keeps playing like he did Sunday. I think JT has it. All he needs is one or two more good tournaments and the ball will roll very quickly for him. When he gets hot, there is just something about the kid that makes him tough to beat and unlike many other golfers, I feel like he truly has fun regardless of where he finishes that week. That's what its about! I say Rickie Fowler he looks solid right now. His performance at the Masters was epic and he birdied the 18th under that pressure. 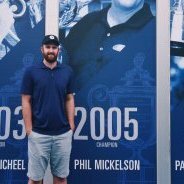 I think he gets his first major this year. Who knows? It's golf.... anyone can get hot at the right time. Not the end of the year yet, but pretty close! Rose will at least hold the #1 spot through the tour championship and the Ryder cup. I guess that doesn't count for calendar year but does hold true for the end of the season I guess. I was off on my assumption. But he did rise like 670 spots.